1. 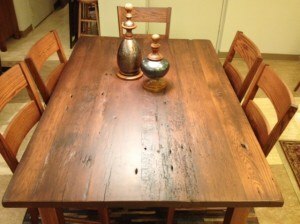 Dining table made of repurposed barn siding. 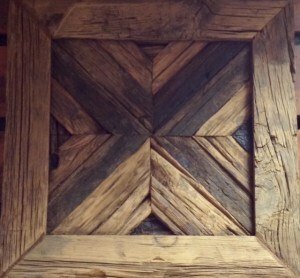 This table also features a handmade base and is glazed in Burnt Umber on Rustic Oak. 2. 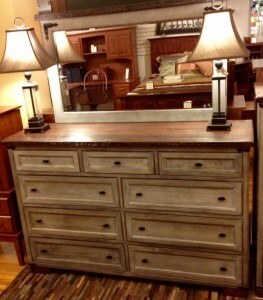 Bedroom suite (dresser shown here) also made of reclaimed Oak barn siding. The top is glazed with Asbury and Lime wax; the handmade base is built in Rustic Cherry and stained in London Fog. This bedroom suite is part of the Farmhouse Heritage Collection. 3. This wall accent piece is constructed completely of repurposed, mitered wood. A beautiful rustic decor item to complement most any home. 4. 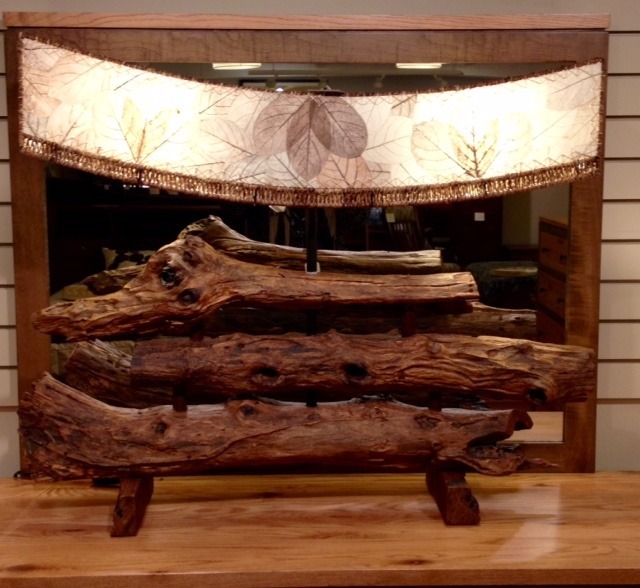 This Eangee lamp is made from driftwood and features real leaves in the shade. Eangee uses sustainably harvested materials that include food-based dyes and water-based finishes. Looking to learn more about adding to your home’s interior design through sustainably sourced materials? Drop by the store and talk with any of our staff.